NTEA — the Association for the Work Truck Industry — has announced The Work Truck Show 2018 schedule of events. The line-up features more than 60 educational opportunities, including Fleet Technical Congress, Green Truck Summit and special sessions on lean thinking; a two-day Ride-and-Drive; multiple networking opportunities; and an exhibit floor packed with the latest commercial vehicles, equipment and technology. Work Truck Week is scheduled March 6 to 9 at the Indiana Convention Center in Indianapolis. 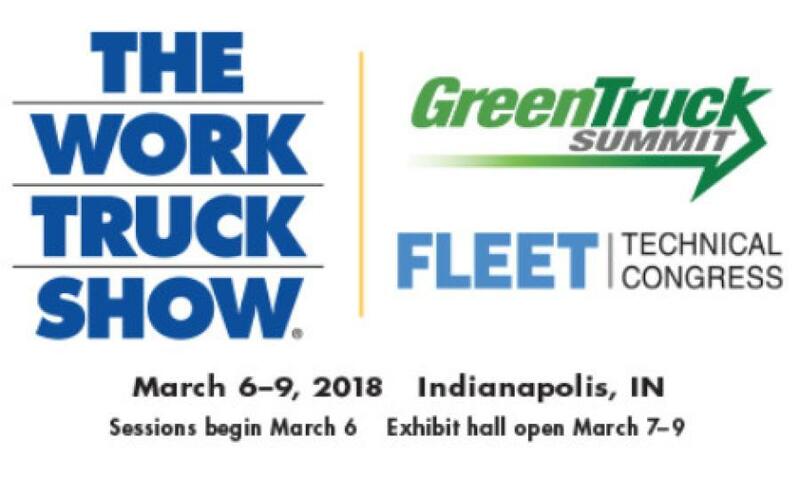 Educational sessions, Green Truck Summit and Fleet Technical Congress begin March 6, and the exhibit hall is open March 7 to 9. Registration is open at worktruckshow.com. The Work Truck Show kicks off with a full day of education and networking on March 6. Fleet Technical Congress and Green Truck Summit each run all day. Concurrent educational sessions, including five of the 15 exclusive OEM truck updates, take place the afternoon of March 6. The opening reception that same evening brings together professionals from across the industry to build stronger business relationships. Educational opportunities continue March 7, with two dozen concurrent sessions available, as well as the special session Fleet Management 101. The exhibit hall opens at 10 a.m., giving attendees access to the most recent product, equipment and technology developments, as well as the Work Truck Show Ride-and-Drive outside. NTEA's Generation Next hosts a Leadership Workshop & Networking Reception: Ego vs. EQ — How Top Leaders Beat 8 Ego Traps with Emotional Intelligence from 3 to 5 p.m. The agenda on March 8 includes the President's Breakfast & NTEA Annual Meeting with keynote speaker General Michael Hayden, retired four-star general and former director of the Central Intelligence Agency and National Security Agency. In addition to a wide range of concurrent sessions, attendees can register to attend the LTAP Fleet Educational Program: The Work Truck in the Work Zone or the special session Lean 201: The Kata Journey — Daily Practice for Scientific Thinking, Mindset and Culture. The exhibit hall and Ride-and-Drive continue on Thursday. March 9 is focused on the more than 500,000-sq.-ft. exhibit show floor where fleet managers can find equipment to improve operational safety and efficiency, and can get technical solutions and advice direct from the management, sales and engineering teams in manufacturers' booths. For the complete schedule of events, educational session descriptions, show floor plan and to register, visit worktruckshow.com. Tickets are required for all special events. President's Breakfast and special session tickets are not included with any registration package, and the opening reception is only included with the Fleet Technical Congress package — otherwise it must be purchased separately. For more information, call 800/441-6832 or email info@ntea.com.